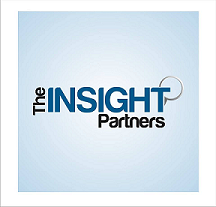 The Insight Partners Published, “Scintillators Market to 2025 – Global Analysis and Forecasts by Material Composition (Organic Scintillator and Inorganic Scintillator), Industries (Research & Industrial, Nuclear Power Plants, Medical & Healthcare, Oil & Gas, and Others), End Products (Fixed and Portable)” to its database. The scintillators market is estimated to grow at a CAGR of 6.5% during the forecast period from 2018 to 2025. The market for scintillators is estimated to reach US$ 609.4 Mn by 2025. The market for scintillators is witnessing a healthy growth rate over the period currently, and is foreseen to soar in the coming years. The scintillators are chemical composition of organic or inorganic substances that exhibit luminescence when excited by any ionized radiation. In the recent years, the demand for scintillators and scintillation detectors are significantly growing among various industries such as medical & healthcare, oil & gas, nuclear power plants, research labs & general engineering industries, homeland security, high energy physics labs and others. Some of the key factors for the upsurge of scintillators across industries in the developed countries and developing countries include constant innovation of advanced technologies, governmental initiatives in various countries, rising funding for research & development among private organizations, and development of technologically enriched products at a low cost. Moreover, the established and emerging companies operating in the field of scintillators are investing substantial amounts and time to research and innovate advanced scintillator & detectors in order to offer the end users with robust products. In our study, we have segmented the scintillators market by material composition, industries, end products and geography. The two types of material compositions considered in this research study includes organic scintillators and inorganic scintillators. The organic scintillators segment is further segmented into single crystal scintillators, liquid scintillators, and plastic scintillators. Both the organic and inorganic scintillators have wide range of applications in research & industrial, medical & healthcare, oil & gas, nuclear power plants and others. The various types of end products include fixed end products and portable end products. Geographically, the market for scintillators is categorized as North America, Europe, Asia Pacific (APC), Middle East and Africa (MEA) and South America (SAM). The scintillators market consists of well-established players and tier 2 & tier 3 companies across the globe. In the recent years, these companies have been investing huge amounts in research and development to provide the customers with high end technology and to meet their demands. Several companies in the market are looking forward to expand their business location or distribution channel for better business growth. Formulation of such approaches gives companies to compete in the market, as the market is highly competitive with of large number of players. Most of the companies are focusing on strategic planning to expand its footprints and to cope with the demand generated by their clients. The scintillators market is well developed market in North America region, especially in the US and Canada. This is due to continuous investments by governments & various private organizations to innovate and develop enhanced scintillators. The increasing environmental monitoring concerns and border security are other prominent factors propelling the scintillator manufacturers to research and develop robust scintillating detectors. The advanced scintillators or scintillating detectors facilitate in easy detection, monitoring & measurement of radioactive rays, thus helping to maintain a sustainable environment. The major players operating in the field of scintillators includes Radiation Monitoring Devices Inc., Canberra Industries, Hamamatsu Photonics K.K., Hitachi Metals Inc., Ladlum Measurements Inc., Rexon Components and TDL Systems Inc., Scintacor Ltd., Zecotek Photonics Inc., Detect and Epic Crystals among others. In addition, various other companies are researching on different technologies to improve the scintillators in order to provide high end radiation detection technologies to various industries.